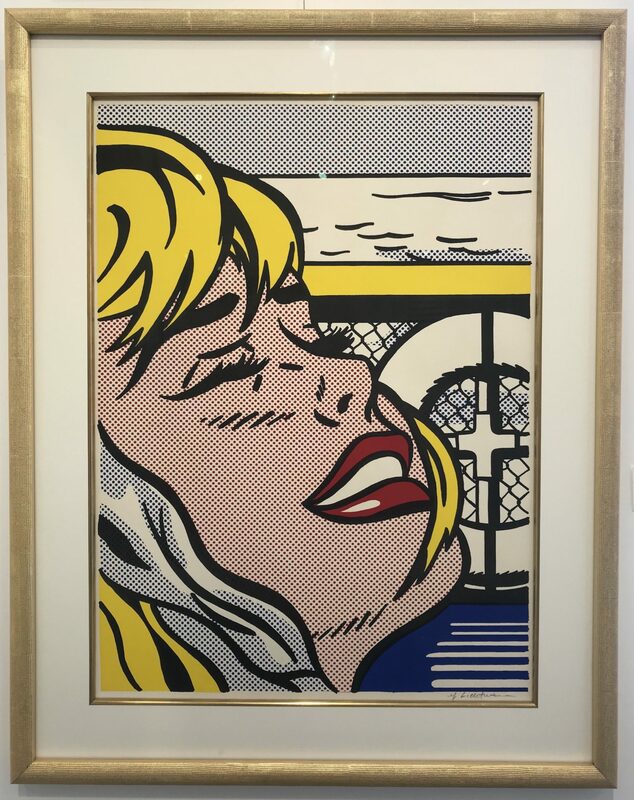 Roy Lichtenstein, Shipboard Girl is an original lithograph in colors from 1965. It is signed in pencil in the lower right margin. This work was not produced in a numbered edition. Published by Leo Castelli Gallery New York. Corlett II.6. 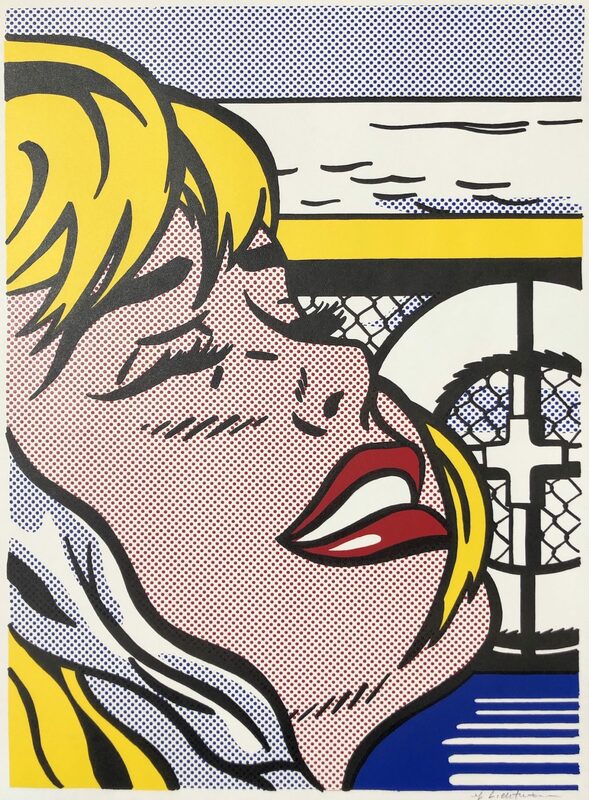 Known for his characteristic use of Ben-Day dots, a visual effect created through the proliferation of dots to achieve larger sweeps of color and form, “Shipboard Girl” offers a culmination of Lichtenstein’s visual techniques as well as his frequent use of an incomplete narrative. Here, the viewer is presented with an image of a beautiful blonde aboard a luxury liner, however, her exact feeling and expression remain unknown. 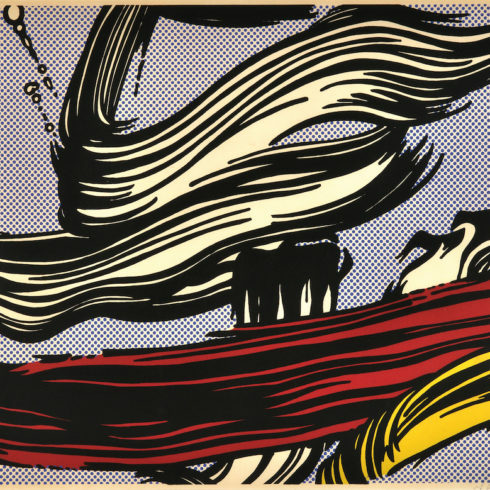 Though he is now a seminal figure of Pop art, Roy Lichtenstein was a relatively unknown artist until his mid-30s when he created his first “comic-strip style” painting. This iconic style was derived from a desire to make his paintings look like enormous mass-media publications with their rows of oversized dots, known to the industry as the “Ben-Day” dot pattern. In 1962, he took his comic-strip paintings to the Leo Castelli Gallery in New York City where his work was almost immediately exhibited. 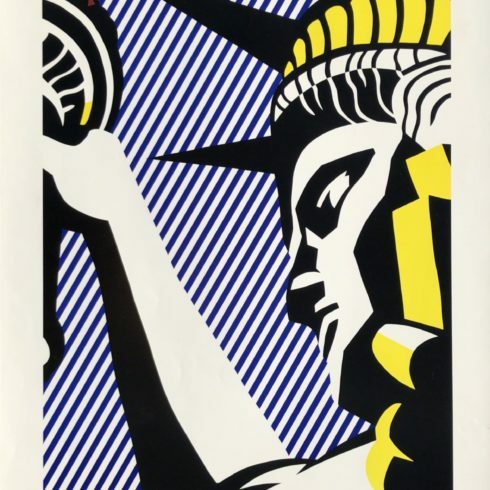 Between 1962 and 1987, Lichtenstein had more than 16 solo shows at the Leo Castelli Gallery in New York and exhibited extensively in Europe and Asia. 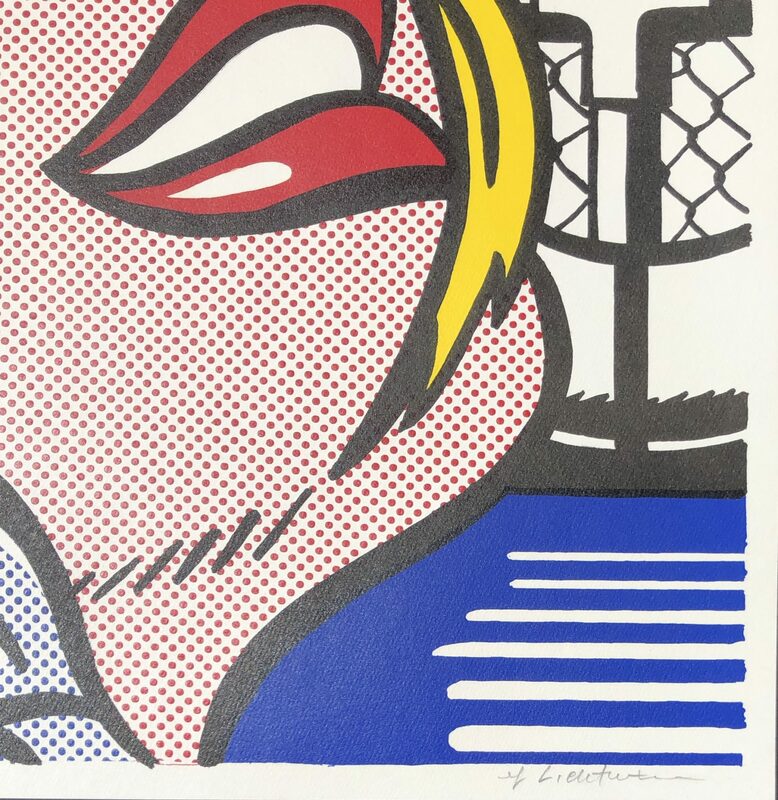 In the late ‘80s and ‘90s, Lichtenstein’s work reflected an increasing influence of cubism and surrealism, often taking the form of abstract geometrical figures. Lichtenstein is regarded as one of the most influential artists of his day and has had several museum exhibitions around the world including the Museum of Modern Art, the Whitney Museum of American Art and the Smithsonian Institute; his last major exhibition was a retrospective at the Guggenheim in New York. His paintings are represented in major collections worldwide.